Author: Dinshaw Pardiwala , Sanjay Soni , Nandan Rao , Pradeep Mandapalli . Arthroscopy & Sports Orthopaedics Service, Kokilaben Dhirubhai Ambani Hospital, Mumbai, India. Osteochondral lesions of the talar dome (OLT) are common, with up to 50% of acute ankle sprains and fractures developing some form of articular cartilage injury. Although the optimal treatment of OLT has remained controversial, in general, a non-displaced lesion with intact articular cartilage should be treated non-operatively with immobilization and restriction of activity. Surgical treatment is indicated for separated or displaced lesions, or If conservative treatment fails to relieve pain in undisplaced lesions. Surgical treatment aims to restore the articular surface with a repair tissue similar to native cartilage and to provide long-term symptomatic relief. If the size of the lesion is not larger than 15 mm, or deeper than 7 mm, bone marrow stimulation technique (BMS) including excision of loose osteochondral fragments, curettage of the crater, and drilling or microfracture can be performed via an anterior or posterior arthroscopic approach. Although BMS has been proven to be an effective treatment for symptomatic patients with small osteochondral lesions of the talus, the reparative tissue formed is fribrocartilage with less durability compared to normal hyaline cartilage. Evidence suggests that large and deep lesions (>15mm diameter, >7 mm depth), or failed previous BMS techniques, should be treated with a replacement strategy such as autologous chondrocyte implantation or osteochondral autograft transfer. Autologous chondrocyte implantation techniques require a two-stage procedure, the first for chondrocyte harvest and the second for implantation after in-vitro culture expansion. Theoretically, the transplantation of chondrocyte-like cells into the defect will result in hyaline-like repair tissue. Osteochondral autograft transfer replaces the defect with a cylinder of viable hyaline cartilage and bone from a donor site in the ipsilateral knee. The need for a malleolar osteotomy and difficulty in gaining perpendicular access to the talar dome is the major limitation of this technique. 1. Zengerink M, Struijs PA, Tol JL, van Dijk CN. Treatment of osteochondral lesions of the talus: a systematic review. Knee Surg Sports Traumatol Arthrosc. 2010;18:238-246. 2. O’Loughlin PF, Heyworth BE, Kennedy JG. Current concepts in the diagnosis and treatment of osteochondral lesions of the ankle. Am J Sports Med. 2009;20:1-13. 3. Roden S, Tillegard P, Unanderscharin L. Osteochondritis dissecans and similar lesions of the talus: report of fifty-five cases with special reference to etiology and treatment. Acta Orthop Scand. 1953;23:51-66. 4. Dragoni M, Bonasia DE, Amendola A. Osteochondral talar allograft for large osteochondral defects: technique tip. Foot Ankle Int. 2011;32:910-917. 5. Bosien WR, Staples OS, Russell SW. Residual disability following acute ankle sprains. J Bone Joint Surg Am 1955; 37-A(6): 1237-43. 6. Berndt AL, Harty M. Transchondral fractures (osteochondritis dissecans) of the talus. J Bone Joint Surg Am 1959; 41-A: 988-1020. 7. Blevins FT, Steadman JR, Rodrigo JJ, Silliman J. Treatment of articular cartilage defects in athletes: an analysis of functional outcome and lesion appearance. Orthopedics 1998; 21(7): 761-7. 8. Hermanson E, Ferkel RD. Bilateral osteochondral lesions of the talus. Foot Ankle Int 2009; 30(8): 723-7. 9. Perumal V, Wall E, Babekir N. Juvenile osteochondritis dissecans of the talus. J Pediatr Orthop. 2007;27:821-825. 10. Kessler JI, Weiss JM, Nikizad H, et al. Osteochondritis dissecans of the ankle in children and adolescents: demographics and epidemiology. Am J Sports Med. 2014;42:2165-2167. 11. Zwingmann J, Südkamp NP, Schmal H, Niemeyer P. Surgical treatment of osteochondritis dissecans of the talus: a systematic review. Arch Orthop Trauma Surg. 2012;132:1241-1250. 12. Canale ST, Belding RH. Osteochondral lesions of the talus. J Bone Joint Surg Am 1980; 62(1): 97-102. 13. Elias I, Zoga AC, Morrison WB, Besser MP, Schweitzer ME, Raikin SM. Osteochondral lesions of the talus: localization and morphologic data from 424 patients using a novel anatomical grid scheme. Foot Ankle Int 2007; 28(2): 154-61. 14. Choi WJ, Choi GW, Kim JS, Lee JW. Prognostic significance of the containment and location of osteochondral lesions of the talus: independent adverse outcomes associated with uncontained lesions of the talar shoulder. Am J Sports Med. 2013;41:126-133. 15. Chuckpaiwong B, Berkson EM, Theodore GH. Microfracture for osteochondral lesions of the ankle: outcome analysis and outcome predictors of 105 cases. Arthroscopy. 2008;24:106-112. 16. Battaglia M, Rimondi E, Monti C, et al. Validity of T2 mapping in characterization of the regeneration tissue by bone marrow derived cell transplantation in osteochondral lesions of the ankle. Eur J Radiol. 2011;80:132-139. 17. Meftah M, Katchis SD, Scharf SC, Mintz DN, Klein DA, Weiner LS. SPECT/CT in the management of osteochondral lesions of the talus. Foot Ankle Int 2011; 32(3): 233-8. 18. Mintz DN, Tashjian GS, Connell DA, Deland JT, OMalley M, Potter HG. Osteochondral lesions of the talus: a new magnetic resonance grading system with arthroscopic correlation. Arthroscopy 2003; 19(4): 353-9. 19. Schachter AK, Chen AL, Reddy PD, Tejwani NC. Osteochondral lesions of the talus. J Am Acad Orthop Surg 2005; 13(3): 152-8. 20. Verhagen RA, Struijs PA, Bossuyt PM, van Dijk CN. Systematic review of treatment strategies for osteochondral defects of the talar dome. Foot and ankle clinics 2003; 8(2): 233-42. 21. Hannon CP, Smyth NA, Murawski CD, Savage-Elliott I, Deyer TW, Calder JD, et al. Osteochondral lesions of the talus: aspects of current management 2014. 22. Murawski CD, Kennedy JG. Operative treatment of osteochondral lesions of the talus. J Bone Joint Surg Am 2013; 95(11): 1045-54. 23. Zwingmann J, Südkamp NP, Schmal H, Niemeyer P. Surgical treatment of osteochondritis dissecans of the talus: a systematic review. Arch Orthop Trauma Surg 2012; 132(9): 1241-50. 24. Van Bergen CJ, Kox LS, Maas M, Sierevelt IN, Kerkhoffs GM, van Dijk CN. Arthroscopic treatment of osteochondral defects of the talus: outcomes at eight to twenty years of follow-up. J Bone Joint Surg Am 2013; 95(6): 519-25. 25. Cuttica DJ, Smith WB, Hyer CF, Philbin TM, Berlet GC. Osteochondral lesions of the talus: predictors of clinical outcome. Foot Ankle Int 2011; 32(11): 1045-51. 26. Deol PP, Cuttica DJ, Smith WB, Berlet GC. Osteochondral lesions of the talus: size, age, and predictors of outcomes. Foot Ankle Clin 2013;18(1): 13-34. 27. Kumai T, Takakura Y, Higashiyama I, Tamai S. Arthroscopic drilling for the treatment of osteochondral lesions of the talus. J Bone Joint Surg Am 1999; 81(9): 1229-35. 28. Choi WJ, Jo J, Lee JW. Osteochondral lesion of the talus: prognostic factors affecting the clinical outcome after arthroscopic marrow stimulation technique. Foot Ankle Clin 2013; 18(1): 67-78. 29. Yoshimura I, Kanazawa K, Takeyama A, et al. Arthroscopic bone marrow stimulation techniques for osteochondral lesions of the talus:prognostic factors for small lesions. Am J Sports Med 2013; 41(3): 528-34. 30. Shearer C, Loomer R, Clement D. Nonoperatively managed stage 5 osteochondral talar lesions. Foot Ankle Int.2002;23:651-654. 31. Kristensen G, Lind T, Lavard P, Olsen PA. Fracture stage 4 of the lateral talar dome treated arthroscopically using Biofix for fixation. Arthroscopy 1990; 6(3): 242-4. 32. 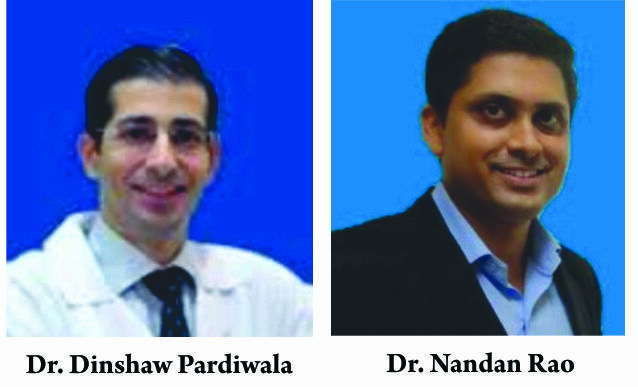 Badekas T, Takvorian M, Souras N. Treatment principles for osteochondral lesions in foot and ankle. Int Orthop 2013; 37(9): 1697-706. 33. Zengerink M, Struijs PA, Tol JL, van Dijk CN. Treatment of osteochondral lesions of the talus: a systematic review. Knee Surg Sports Traumatol Arthrosc 2010; 18(2): 238-46. 34. Tol JL, Struijs PA, Bossuyt PM, Verhagen RA, van Dijk CN. Treatment strategies in osteochondral defects of the talar dome: a systematic review. Foot Ankle Int. 2000;21:119-126. 35. Klammer G, Maquieira GJ, Spahn S, Vigfusson V et al. Natural history of nonoperatively treated osteochondral lesions of the talus. Foot Ankle Int. 2015 Jan;36(1):24-31. 36. McCullough CJ, Venugopal V. Osteochondritis dissecans of the talus: the natural history. Clin Orthop Relat Res 1979; (144): 264-8. 37. McGahan PJ, Pinney SJ. Current concept review: osteochondral lesions of the talus. Foot Ankle Int 2010; 31(1): 90-101. 38. Huylebroek JF, Martens M, Simon JP. Transchondral talar dome fracture. Arch Orthop Trauma Surg 1985; 104(4): 238-41. 39. O’Farrell TA, Costello BG. Osteochondritis dissecans of the talus. The late results of surgical treatment. J Bone Joint Surg Br 1982; 64(4):494-7. 40. Alexander AH, Lichtman DM. Surgical treatment of transchondral talar-dome fractures (osteochondritis dissecans). Long-term follow-up. J Bone Joint Surg Am 1980; 62(4): 646-52. 41. Murawski CD, Foo LF, Kennedy JG. A review of arthroscopic bone marrow stimulation techniques of the talus: the good, the bad, and the causes for concern. Cartilage. 2010;1(2):137-44. 42. Mitchell N, Shepard N. The resurfacing of adult rabbit articular cartilage by multiple perforations through the subchondral bone. J Bone Joint Surg Am.1976;58(2):230-3. 43. Cuttica DJ, Shockley JA, Hyer CF, Berlet GC. Correlation of MRI edema and clinical outcomes following microfracture of osteochondral lesions of the talus. Foot Ankle Spec. 2011;4(5):274-9. 44. Lee KB, Bai LB, Yoon TR, Jung ST, Seon JK. Second-look arthroscopic findings and clinical outcomes aftermicrofracture for osteochondral lesions of the talus. Am J Sports Med. 2009;37(Suppl 1):63S-70S. 45. Ferkel RD, Zanotti RM, Komenda GA, Sgaglione NA, Cheng MS, Applegate GR, Dopirak RM. Arthroscopic treatment of chronic osteochondral lesions of the talus: long-term results. Am J Sports Med. 2008;36(9):1750-62. 46. Giannini S, Buda R, Vannini F, Di Caprio F, Grigolo B. Arthroscopic autologous chondrocyte implantation in osteochondral lesions of the talus: surgical technique and results. Am J Sports Med. 2008;36(5):873-80. 47. Magnan B, Samaila E, Bondi M, Vecchini E, Micheloni GM, Bartolozzi P. Three dimensional matrix-induced autologous chondrocytes implantation for osteochondral lesions of the talus: midterm results. Adv Orthop. 2012;2012:942174. Epub 2012 Apr 17. 48. Quirbach S, Trattnig S, Marlovits S, Zimmermann V, Domayer S, Dorotka R, Mamisch TC, Bohndorf K, Welsch GH. Initial results of in vivo high-resolution morphological and biochemical cartilage imaging of patients after matrix-associated autologous chondrocyte transplantation (MACT) of the ankle. Skeletal Radiol.2009;38(8):751-60. 49. Hangody L, V´as´arhelyi G, Hangody LR, S¨uk¨osd Z, Tibay G, Bartha L, Bod´o G. Autologous osteochondral grafting—technique and long-term results. Injury.2008;39(Suppl 1):S32-9. 50. Kennedy JG, Murawski CD. The treatment of osteochondral lesions of the talus with autologous osteochondral transplantation and bone marrow aspirate concentrate: surgical technique. Cartilage. 2011;2:327-36. How to Cite this article: Pardiwala D, Soni S, Rao N, Mandapalli P. Osteochondral Lesions of the Talar Dome. Asian Journal Arthroscopy. May-Aug 2018;3(2):13-19.